Written by one of the leading figures in design research, the book is supposed to “help anyone interested in design to develop their understanding of how designers think and work.” And it’s only 150 pages. Design thinking is the core creative process for any designer; this book explores and explains this apparently mysterious “design ability.” Focusing on what designers do when they design, Design Thinking is structured around a series of in-depth case studies of outstanding and expert designers at work, interwoven with overviews and analyses. The range covered reflects the breadth of design, from hardware and software design, to architecture and Formula One. The book offers new insights and understanding of design thinking, based on evidence from observation and investigation of design practice. 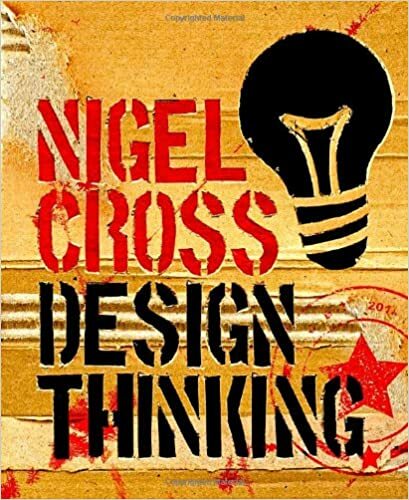 Author Nigel Cross, considered one of design’s most influential thinkers, goes to the heart of what it means to think and work as a designer. The book is an ideal guide for anyone who wants to be a designer or to know how good designers work in the field of contemporary design. Design research can get rather academic and even pedagogic, while, not surprisingly, design researchers usually get to know and understand much more subtleties and insights than most fellow designers do – not because the former know more about design, but because they reflect much longer (that’s what they do for a living!) than the latter. Therefore, this book is an important addition to the author’s already classic work Designerly Ways of Knowing. Just as many customers or end users can’t really explain what they need or what is their problem, many design practitioners aren’t in a better positition. Sometimes designers don’t know how their way of work works, and more often than not, they usually have an illussion of why it works – not to mention ever so many book authors who claim (but not really) to know the secret of design thinking, innovation, or business success. Reading Nigel Cross’ works on design is as enlightening to me, as a designer, as it always is to non-designers. Don’t expect step-by-step instructions or methods that you can take, apply and succeed because, come on, there are infinite ways of doing (including designing), and there really is no one true way to do it right.